Spending my days with a gaggle of four year olds inspired my latest paper pack. 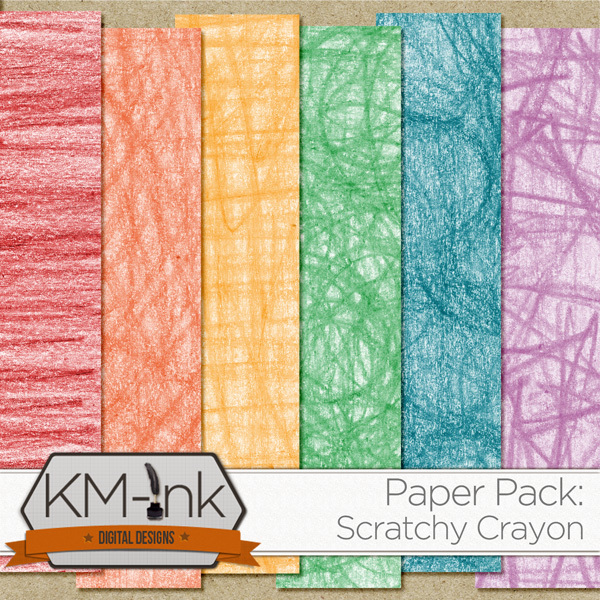 Rainbow colored crayon scribble papers are perfect for your back-to-school digital scrapbook pages, birthday cards or party invitations, and so much more. These fun crayon textured papers are now available in my Etsy Shoppe.